What is involved in playing lesson? Also, where are they offered and how many holes? Answer: Playing lessons focus mainly on course management and strategy. Helping you find the best way to play within your limitations and still score as well as possible. I also demonstrate shots on the course that we may not have had an opportunity to do at the range. In a nutshell, you want to learn how to take advantage of a good shot and minimize the penalty for a poor one. Playing lessons are offered at Goose Creek G.C. or Herndon Centennial G.C. 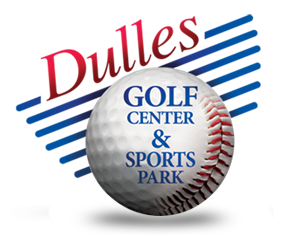 and are priced at $300.00 for nine holes which includes cart and greens fee. My long game is pretty consistent, but I waste too many shots from 100 yards in. What do you have available for short game improvement? 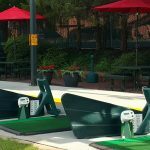 Answer: The Chuck Will Golf Academy has a complete short game learning area including a putting green, chipping/pitching target greens and both fairway and greenside bunkers. I have also developed a both a 3 club chipping and 3 wedge pitching system. I'm thinking of purchasing new clubs. Should I take lessons first and then get fit for clubs? Answer: Being a teacher first and a clubfitter second, I would prefer you take at least one lesson first to allow me to properly assess the shaft angle at impact. Once I have worked with you, we can fit your new clubs in the direction the swing will end up with the new changes. If you are ready for new clubs, by all means get them. Small adjustments to the loft and lie angles can be made later if necessary. I am recovering from recent rotator cuff surgery in my left shoulder. What adjustments would you suggest I make with my swing to minimize any future injuries? Answer: Proper stretching is imperative prior to swinging the golf club. Lateral raises with a light dumbbell will help strengthen the muscles around the shoulder area. The important swing change is twofold; keep the left arm positioned in the center of the chest and do not let the hands get higher than your head on the backswing. Start back slowly keeping those two thoughts in mind. Also, check with your doctor and proceed with his/her recommendation. I'm by no means a 'PGA Tour Player', but am a pretty respectable player with a 4 handicap. How will computer swing analysis and comparisons to PGA Tour Players help my game? Answer: Side by side comparisons to PGA Tour Players are used to show what the best players in the world do in common. Drawing capabilities include graphics and angles to compare with proven test data of specific body angles throughout the swing. Plane angles and path and shaft position can also be shown . Using two camera angles allows me to compare the relationship between the swing plane and body throughout the swing. Once the “root cause” of the swing problem is identified, corrections can be made. What makes your specialty workshops different from those offered at other golf schools? Answer: Our specialty workshops are smaller in size and offer individual private video lessons in addition to the structured group classes. Range balls and clubs are always included in the price. I'm a 25 handicap who has been playing golf for 30 years. Is video swing analysis right for me? Answer: Video is used in all lessons at Chuck Will Golf Academy, I believe it’s that valuable of a learning tool. The best part about using video is that not only are the swing flaws more obvious, but what you do well is also identified. Only when a student’s individual “swing tendencies” are established, can swing changes begin to be made. Seeing the changes as they progress is important because what you “feel” is not always what is “real”. I notice that C.W.G.A. 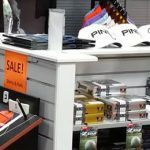 Golf Shop offers custom fit clubs from most major brands. 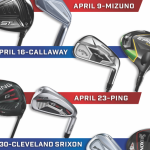 Are most clubs in stock or do they have to be special ordered? Answer: We have a number of clubs in stock, however, we don’t sell any clubs that are not custom fit to the individual. All Chuck Will Golf Academy instructors are fully qualified/trained in the art of clubfitting. Most repairs have a turnaround time of one week. 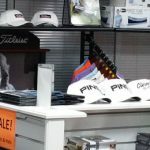 Special orders through the major manufacturers (Titleist, Ping, Mizuno, Callaway, Cobra and Cleveland) take approximately two weeks. Our pricing is highly competitive and we always try to beat any competitors advertised price! I've never played golf before, but would like to learn. How would you recommend I get started? I have a six year old son who loves golf! Is he too young for one of your junior camps? Also, if I wanted to get him private lessons, what would that cost? Answer: We have had children as young as five, however, it depends strictly on the individual child. Also, we recommend that the parents remain with the child during the class. I have a junior rate for private lessons of $55.00 per half hour vs. $150.00 per hour for adults. Multiple lesson packages discount the price even more.